2.O: Business Full - Publicity Nil! Be it any movie, Pre-Release Promotions are a must. From films starring Amitabh Bachchan to Small Comedian, Publicity Campaign is so crucial to take the project into the public. This is why PR System had been strengthening day-by-day. Unexpectedly, Not much hungama is happening around '2.O' which is India's costliest flick ahead of the release. Trailer launch event was conducted in Chennai few days ago. Telugu Media received invitations for Trailer Launch & Video Song presentation in Hyderabad Today. But, The event isn't planned on par with the standards of a film like '2.O'. Why LYCA Productions isn't giving good importance to the promotions prior to the release? 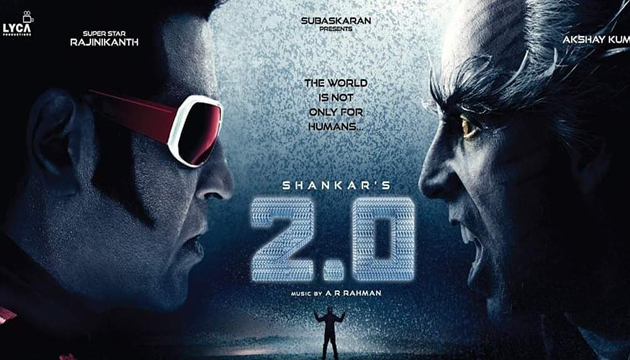 Telugu Theatrical Rights of '2.O' were sold out for over Rs 80 crore. Kannada Rights fetched Rs 35 crore for the makers & its a new record. Sadly, The promotions weren't matching the high standards pre-release business was able to set. Does the makers feel a film in the combination of Rajinikanth & Shankar doesn't need promotions? Not to forget that the market of Superstar dropped drastically in the Telugu circuit due to his movies post 'Robo'. Producers like Ram Gopal Varma haven't been hesitating to release their films the very next day after '2.O' outing. Such is the situation but still LYCA seems to be least bothered. Guess, What happens on Nov 29th?